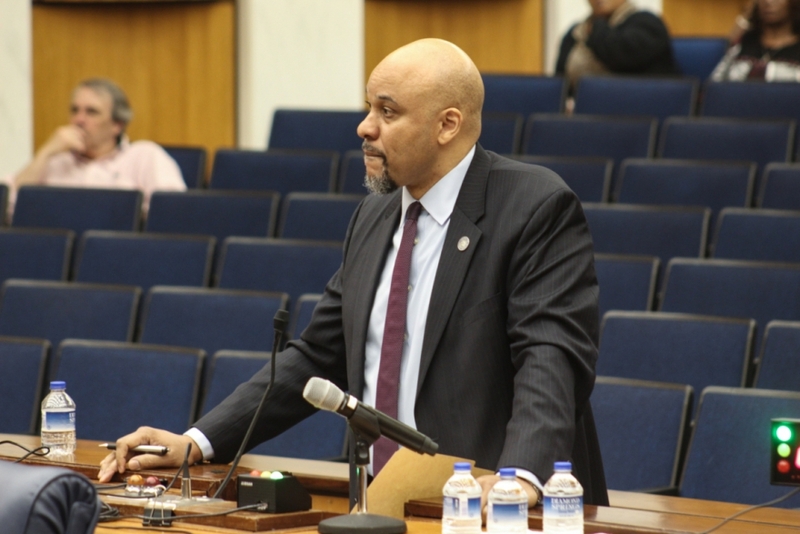 Calvin Farr, Director of Richmond's Department of Public Utilities, told Richmond City Council on Monday that utility rate increases are necessary for maintaining an aging infrastructure. Richmond City Council Members Kim Gray and Reva Trammell have introduced amendments to the proposed 2020 budget that would keep utility rates flat. Mayor Levar Stoney's budget calls for a 4 percent increase to water, stormwater and wastewater fees, as well as a 3.5 percent increase in gas rates. That's on top of a proposed 9-cent hike in the city's property tax rate. Gray said on Monday that she wants to see a long-term plan for how the money would be spent before agreeing to increase rates. Gray and other council members demanded to know how long residents will continue to see yearly utility rate hikes. "I want to have a fuller understanding of what the dollars are being used to do," Gray said. "I'm not seeing it translated into projects or services, and I don't like to make decisions in a silo." The proposed rate hikes translate into a monthly bill increase of $6 per month for the typical residential customer. Much of it would be used for basic maintenance, says Calvin Farr, Director of Public Utilities. Farr told Richmond City Council last month that the department currently has $583 million in capital improvement needs. Those needs include the replacement of pipes that are almost a century old. On Monday, Farr was back before City Council opposing the amendments. He said without utility rate increases, maintaining the city’s drinking water quality and avoiding wastewater pollution into the James River will become more difficult. Richmond City Council will solicit public feedback on the budget and proposed amendments during its regular meeting next Monday at 6 p.m.
*A previous version of this story incorrectly stated Calvin Farr is Director of the Department of Public Works. We apologize for the error.